More than once, I’ve been asked “why do you use rugs on top of carpet?” I don’t remember when I started but I guess it has become so routine, I hadn’t considered that it may not be typical for everyone. my latest rug incorporation (finally landing in Mama Nan’s guest bedroom- woo!) gives the perfect opportunity to plead my case of why rugs should be layered on carpet. Here’s the deal. Rugs aren’t just for making the floor more comfortable. Think of a dining room with hardwood floors. A rug under the table isn’t usually questioned. Actually, it’s probably more common to see a rug under a table than not. Why is the rug there? You aren’t walking around under the table, hoping for the comfort of foam and soft carpet pile. Sure, it provides a protection barrier for your floors, but it also defines the space. In a way, it anchors that table to the floor, saying “this table space is an intentional, permanent fixture in this room”. It’s the outline/platform to tie the table and chairs in with the rest of the room. It also brings the set together as one unit instead of 8 disjointed pieces, floating in the room. But, for some reason, rugs under beds in carpeted rooms seem to be more questioned. 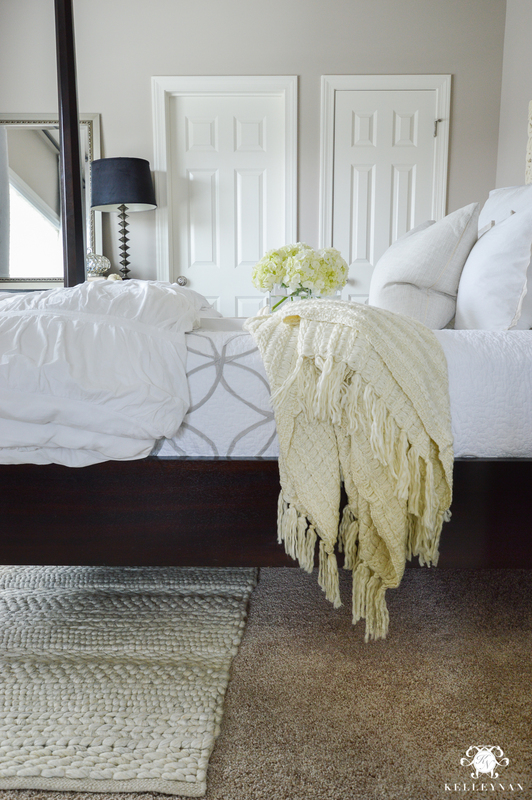 Just like any hardwood flooring space, rugs under beds help to showcase that specific space in the room. It defines the bed area. And, this applies to hardwood floors, too. 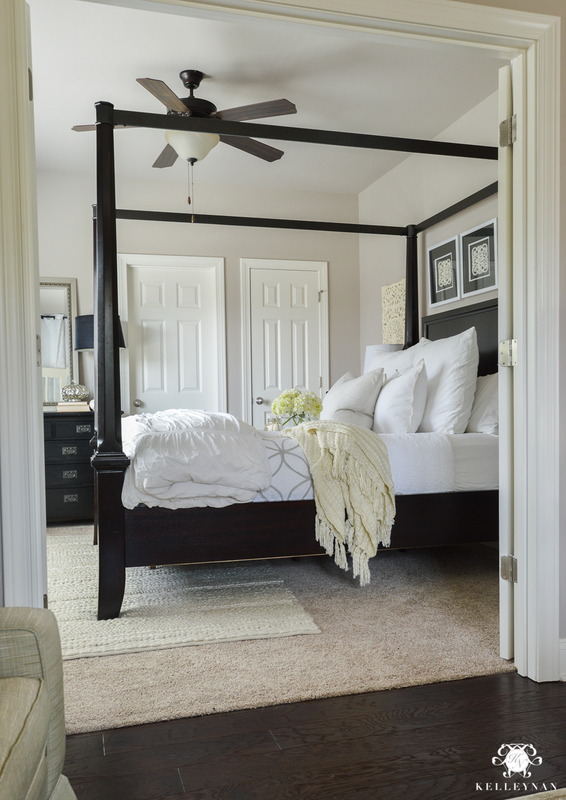 Yes, it helps to not let your feet get cold as soon as they hit the floor in the morning, but it adds a softer texture to the room and breaks up that visual plane. And this is after we added the rug. It isn’t even a contrasting color/pattern and it still makes a huge difference! 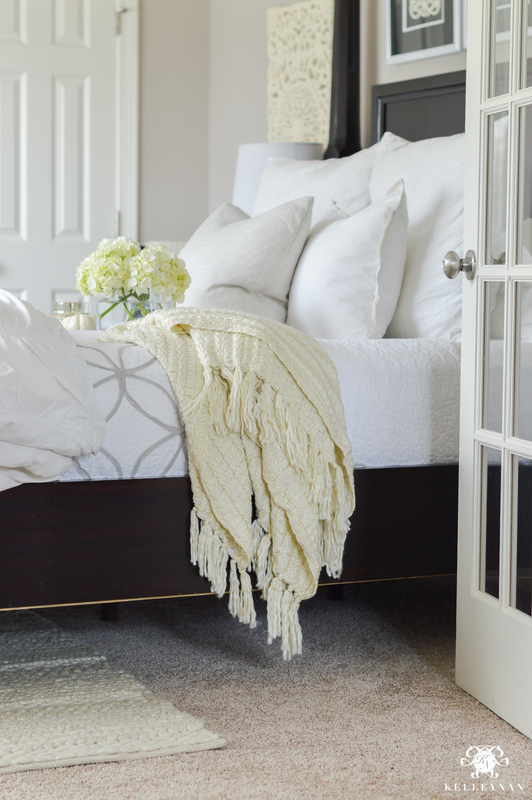 Another perk of adding a rug under your bed- if it’s a large room, it helps make things more intimate, cozy and tied together (even with a lot of space between furniture). In a smaller room like this one, it makes furniture placement look intentional (instead of a storage room with random floating pieces haha). 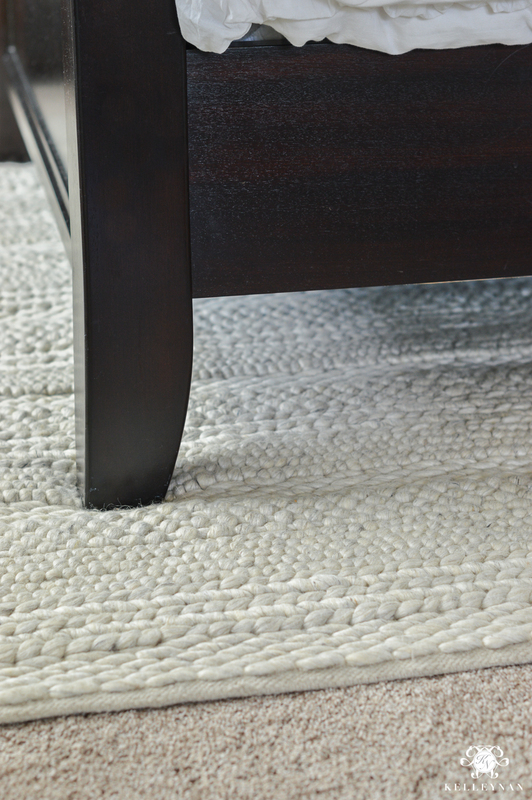 Rug guidelines are an entirely different beast but here are a few easy suggestions. Rugs in the dining room should be large enough so when you pull the chairs out, they are still contained on the rug. Rugs in bedrooms are more flexible. 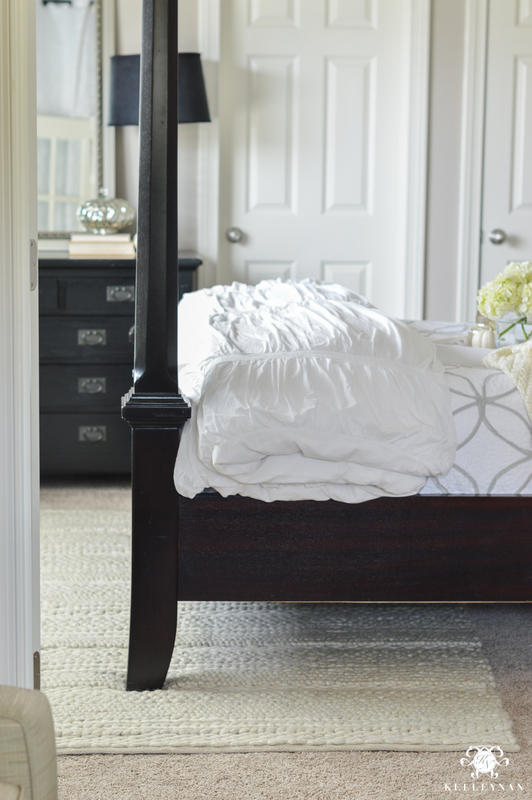 You can go big and have your entire bed and nightstand sitting on top, or, you can go a little small and take the rug halfway up the bed length. Because this room is small, I opted for the latter with a 5×8 (for a queen sized bed). This guest bedroom currently holds a mish-mosh of old furniture and after getting this new rug in here, it kind of makes me want to spring into action (Dave, skip this part!) and start a new makeover project haha. 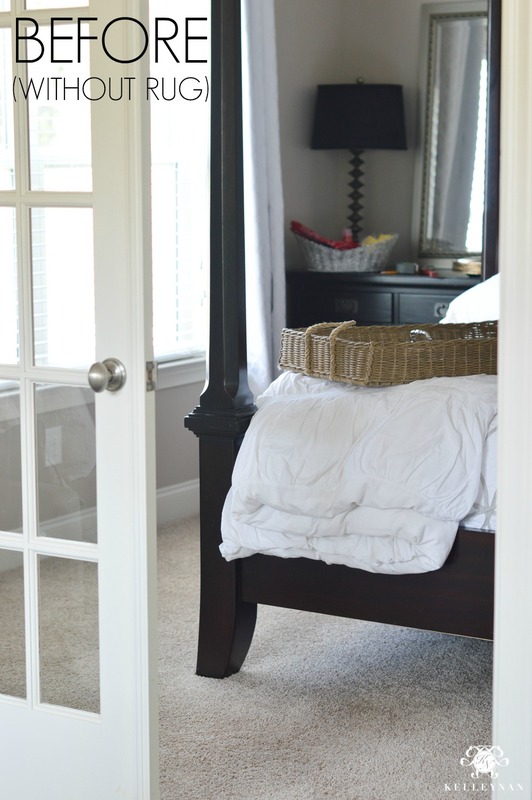 But, with our master bedroom makeover on the horizon (starting next month! ), this one will have to wait. The furniture isn’t the only mish-mosh here… I have so many whites, creams, taupes, grays, etc. 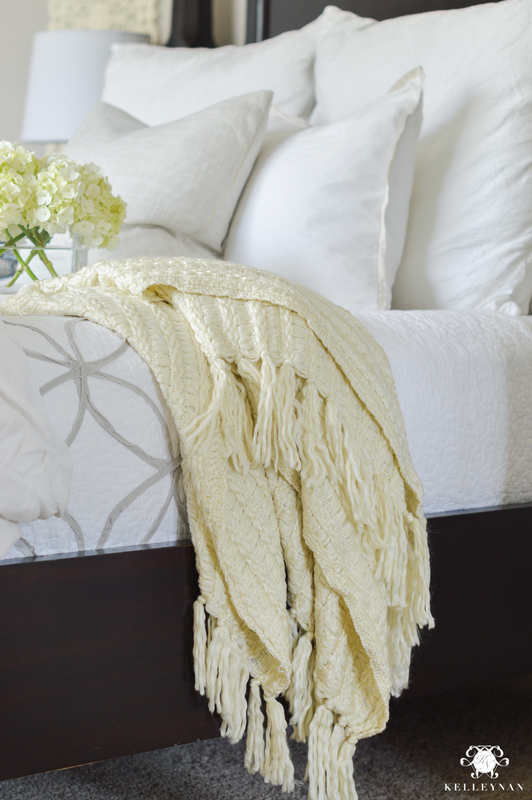 that I wanted to bring some of that creamy color to the bedding. (If you ever need to tie in another color to marry some elements, literally, throw in a throw 😉 ). This throw is cozy enough for winter but light enough for fall – and – you can also get it for 20% off with code SEPTSAVE HERE. Ok, so if you are now going through every room in your house to determine if/if it should have a rug now (haha), World Market is running their Rug Caravan (up to 50% off all rugs) right now. 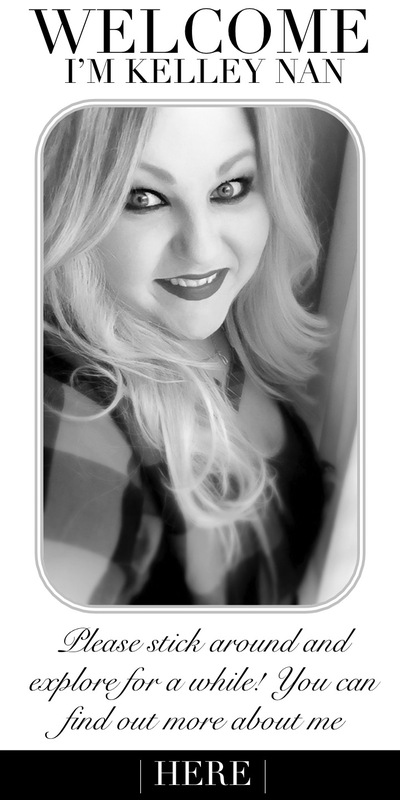 Plus, use code SEPTSAVE for free shipping (and 20% off anything in your order that is regularly priced). You can view all the rugs HERE. Lastly, I hope you will mark your calendar and join me again this Thursday when my fall home tour launches! To take a look back at last year, visit the 2016 tour HERE. Love it Kelley. It ties the entire room together, from the wall art to the throw to the rug. Your eye tracks the color. Well done. Great room . What color is the wall ?? Not for me…. If you do use this style you should have more contrast. Hi K, I really think the bed absolutely makes the room…. its so beautiful, it’s a bed many people would choose for a master….. it gives the room such importance and just a bit o’ contrast for whatever else comes along…. I’m sure your mom loves staying there. Marguerite, thank you! It was the old master bedroom bed in our last house and I couldn’t part with it. It would probably be best served in a larger room but I love it too much! I love the color combination you used. Perfect! Ivory, thank you so much! Jen, thank you! I am so in love with that big chunky knit! First off I love your new rug – like love it hard! Perfect in that room! And secondly, who knew World Market had so many great rugs – I always think of them as having boho/tribal rugs but you linked up so many with a different style that I love! What a fabulous assortment of rugs Kel, and they’re all gorgeous! I’m all for layers and rugs and you’ve done is masterfully! I love Mama Nan’s room! Love the texture of your new rug, Kelley! And I’m so glad you linked up extras because now I’m eyeing one of those for my daughter’s bedroom! Awesome, finds! And beautiful work, as always ! Haneen, thank you so much! I really wish I had a place for the pink one I shared! Oh, Kelley! 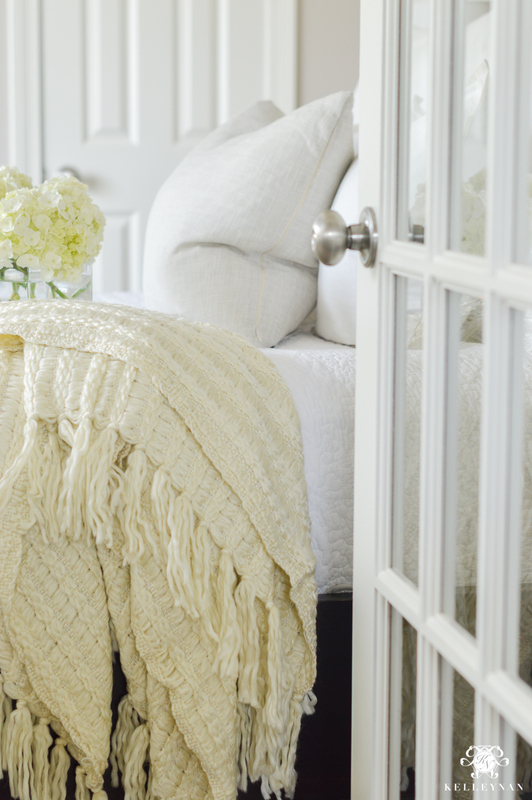 I love so much about your — ahem — unfinished guest room! The bed is such a focal point! Beautiful! I love to layer rugs over carpet and never thought about anyone questioning it! I do it for the same reasons you do. And, I’m really looking forward to your master bedroom update! We’re approaching a major remodel that will give us a new master and I’m hungry for ideas! Sharon, thank you! And I never thought anything of it either until I started getting questions! I am so excited to start on the bedroom and good luck on your upcoming project, too! This like all your photos are beautiful. With all due respect, how many of your followers are in a position to pay the cost of most of the items you post even with stated sale prices? Hi, Kathleen. Budget is personal to each individual and obviously varies from family to family. 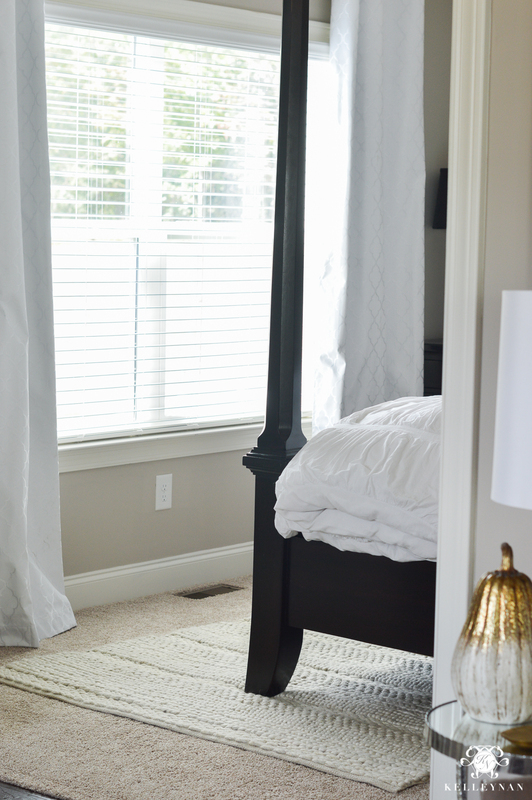 Home furnishings are important to me so in our family, we prioritize them over some other luxuries (I talk about this more here: https://kelleynan.com/how-to-afford-the-home-spoils-of-your-dreams/). When it comes to furnishings we plan to have for a long time, we are willing to invest more in some cases. Everything in this room with the exception of the rug, throw, and a couple throw pillows are more than 10 years old and were still budget items during their time. Furnishing a home can rarely be done all at once. A lot of times, it requires saving and planning. The rugs I feature in this post are a fantastic deal- not many places you can score a 5×8 rug for $119 (in many of their cases). And, if items I feature aren’t within budget, I hope they provide inspiration for a look someone may want to achieve. I hope that helps clarify things and thank you for taking the time to stop by! Woo! I love this new addition! I need to up my game and add some new rugs. I love your special picks. Each one is so pretty.